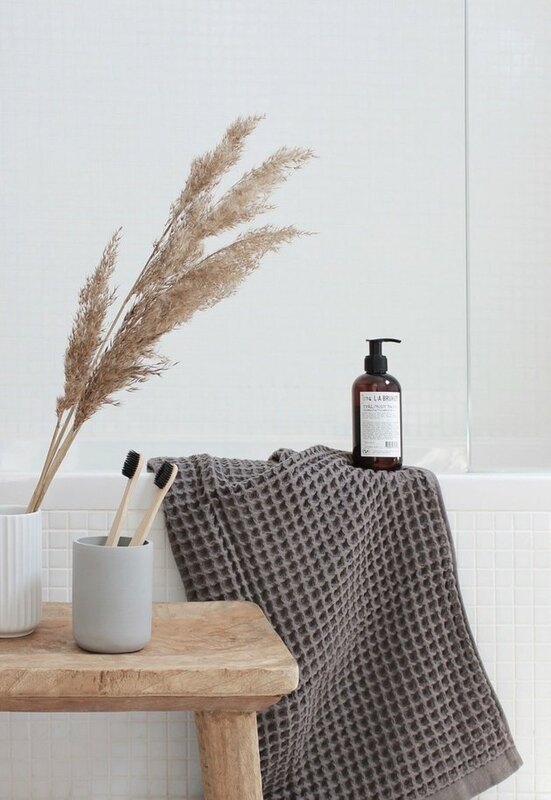 When it comes to transforming your average bathroom into a spa-like oasis, the task can be as simple as sprinkling in a few nice-smelling candles and chic wooden accessories or as potentially complex as a weekend spent with a DIY project (or two). The good news is, no matter your comfort level with home improvement, these nine spa bathroom ideas will definitely spark a little luxury in your life — and it all starts in the bathroom. This spa bathroom setup almost looks like it could be an outtake from a Crate and Barrel spring catalog, but it's actually a bathroom owned and styled by Susana Oliveira, based in the Portuguese city of Porto, who used a mix of both hammam-style and waffle cotton towels to create a spa-like feel through soft, luxurious materials. 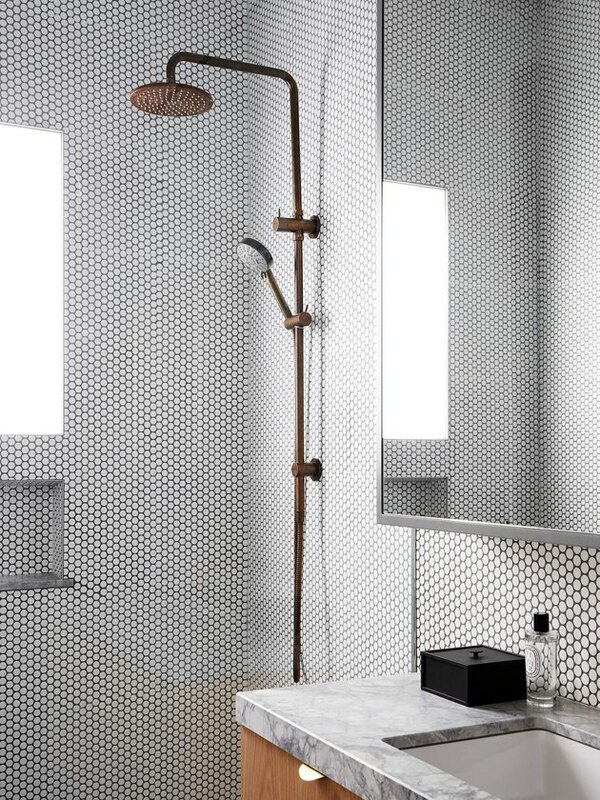 Everyone deserves a spa bathroom idea like this rainfall shower experience on the regular, so don't you dare feel guilty about treating yourself to a fancy new showerhead. We recommend going with a material that will generate a beautiful patina in its timeworn state, like this brass fixture in the master en suite of a Melbourne home by Harrison Interiors. 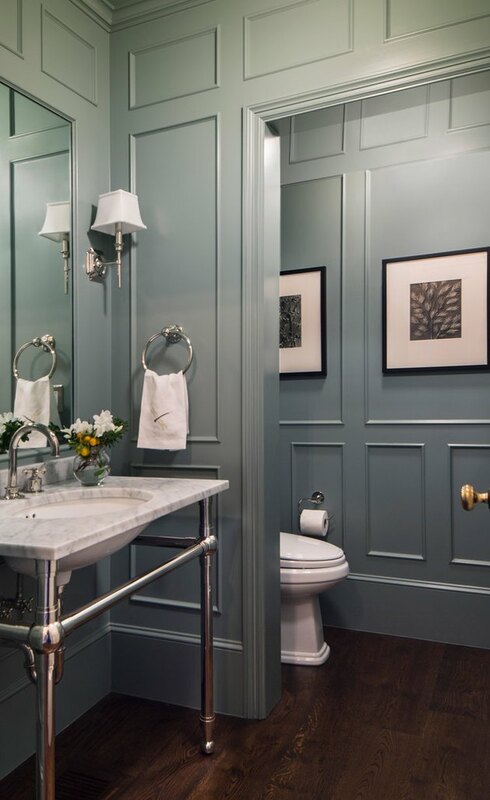 If you happen to be handy with a level and partial to country-style interiors, consider adding some decorative molding to the walls of your guest bathroom, like interior designer Tineke Triggs of Artistic Design for Living did in this Georgian-style farmhouse. It might even have the potential to improve your home's resale value, depending on the style and age of the house — not bad for a weekend DIY (although, we vote for a Parisian-inspired pattern). A vintage dresser in the bathroom is an unexpected touch and makes an incredibly chic alternative to other kinds of shelving or storage, for necessities like towels and toiletries. 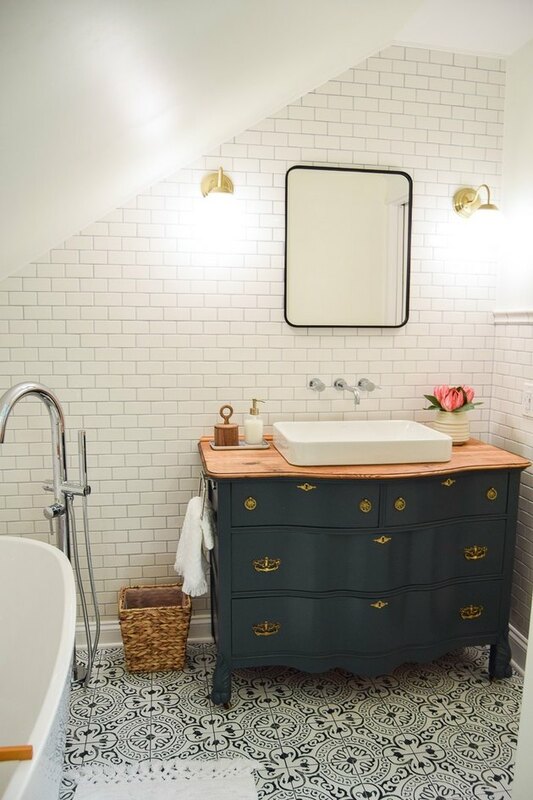 Sarah from Making Joy and Pretty Things purchased this antique beauty and gave it a dark green makeover, which pairs beautifully with the black and white patterned floor tile. Why buy new when it's so dang easy to make your own wooden bath tray? 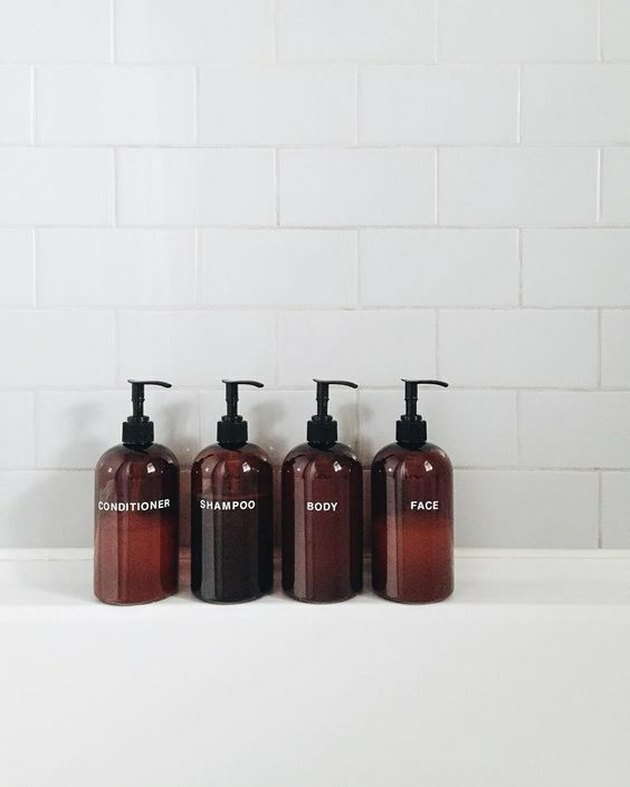 Just imagine it: all of your herbal tonics and essential oil sprays within arms reach for quick and easy relaxation. 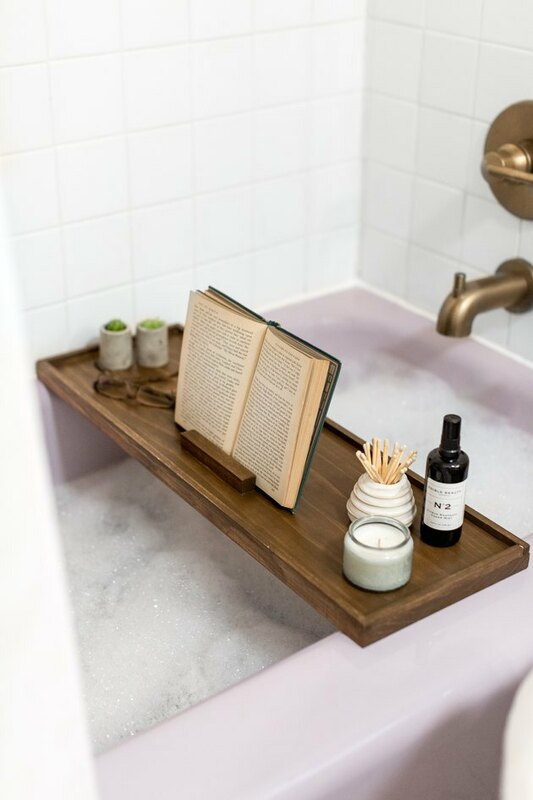 Follow the lead of Carrie Waller in this spa bathroom idea how-to, then fill your finished tray with a candle or two, some matches, and bath salts. We're just going to go ahead and take a wild guess and say that everyone's favorite part of going to an actual spa is the amazingly fluffy robe they give you upon arrival. There's nothing better than trading in the daytime 9-to-5 attire for a wearable towel like the one hanging in this space designed by ONI Architects. Now, icing on the cake would be if a towel warmer were involved ... These are supposed to be home-spa bathroom fantasies, right? 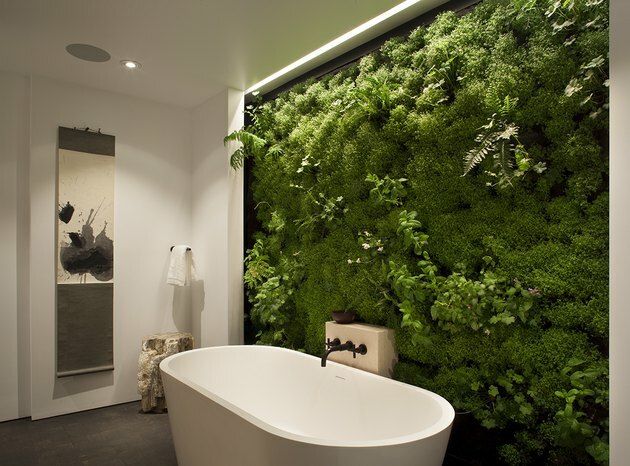 Here's a lush spa bathroom idea: If you're lucky enough to have a washroom with free wall space, go big with living greenery. This refuge designed by Siol Studios feels just like bathing alone in the rainforest. 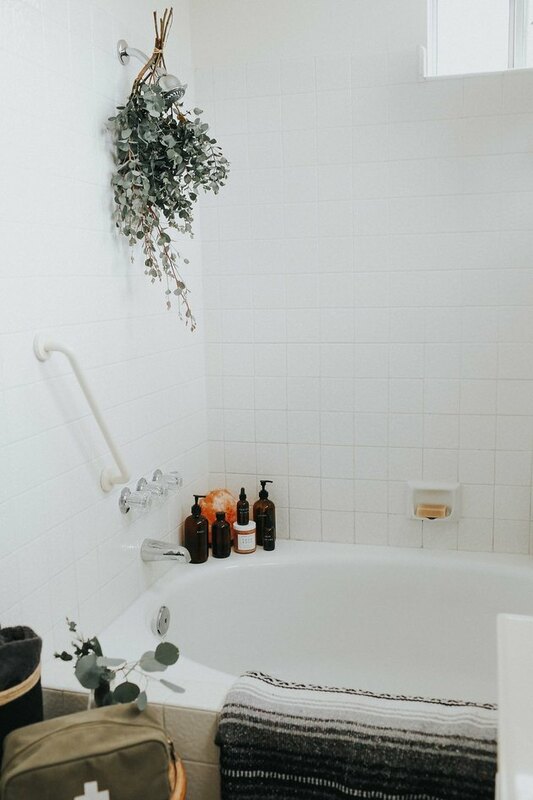 Speaking of plants, here's how to make your shower as relaxing as a bath, according to Chelsea Becker of Advice From a 20 Something, who lays out an entire before and after showering process to get you fully Zen. 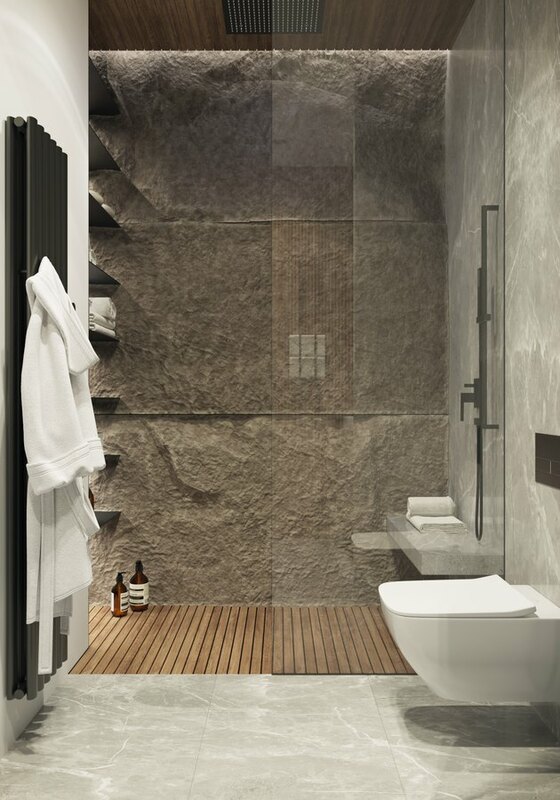 The best part of her spa bathroom idea might be a bundle of dried eucalyptus hanging from the showerhead to create a relaxing oasis filled with eucalyptus steam (which is also great for clearing up sinuses, she says).